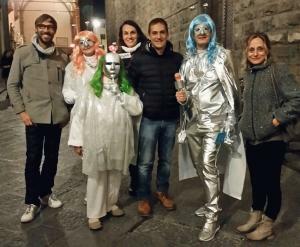 Fratelli Stellari (Star Brothers) are a group of writers, singers and cabaret artists based in Italy (Florence and Turin). 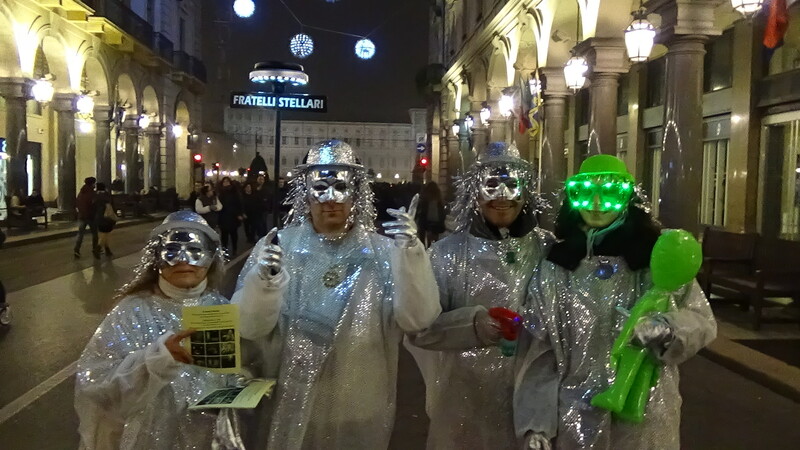 According to some rumours, all members of this band are of alien origin (coming from Orion's Belt), but they hide themselves among the earthlings through pseudonyms and disguises. 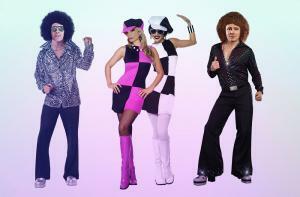 They experience various genres of music: pop, dance, disco, funk, electronic; they sing in English, Italian, Spanish and French. 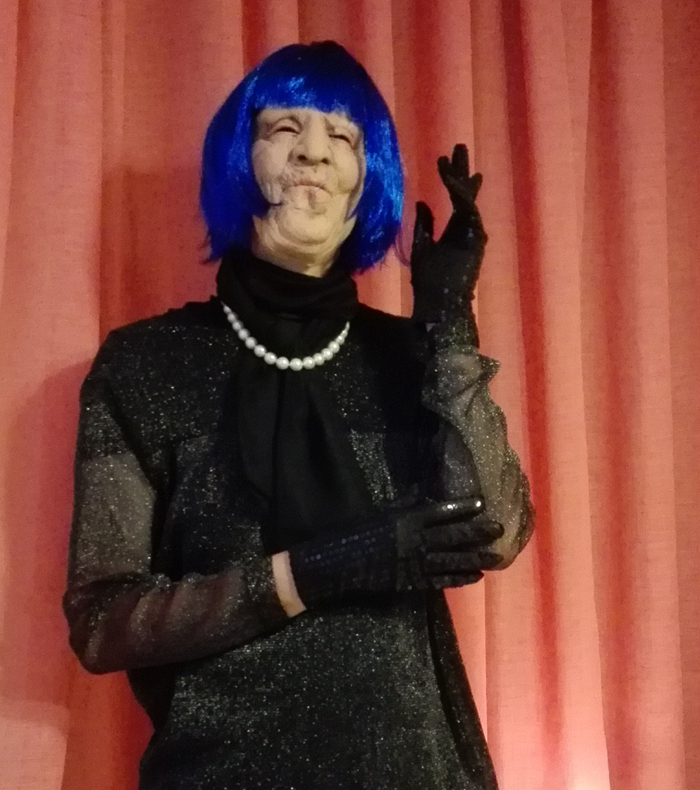 Several vocalists belong to the band; among the most representative, we find Stella Demaris, DJoNemesis, Dorien Dorion, Figli d'Orione (Children of Orion, a "subgroup" specialized in the English language), Mauna Ki, Ritanne du Lac and La Vecchina dell'Aceto (The Old Lady of Vinegar). 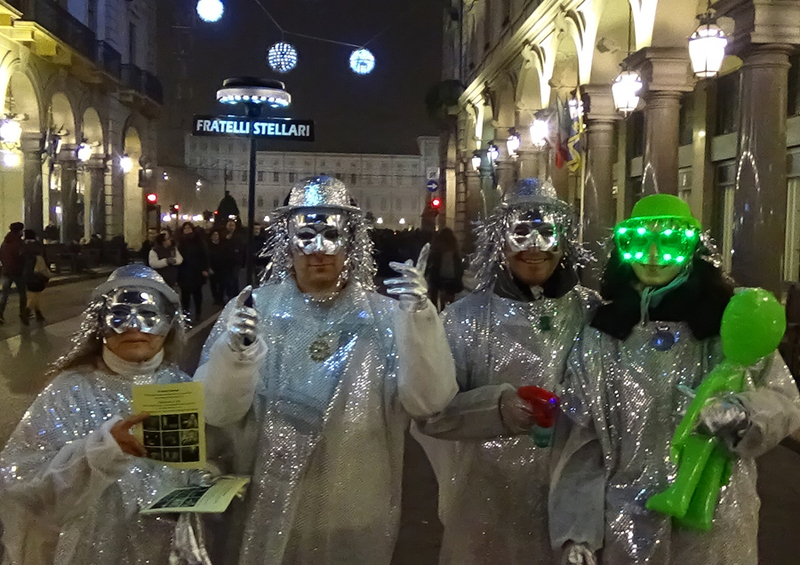 Fratelli Stellari pay attention to their look and often appear in space costumes; sometimes their lyrics are humour-oriented. They usually record at two studios, one in Florence and the other in Turin: Pleyad Studios, which is also the name of their discographic label. 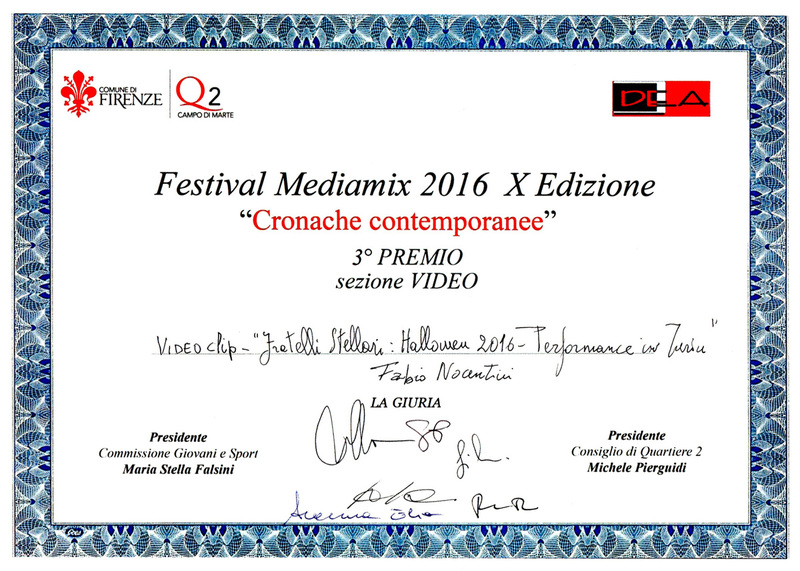 Producers and managers of the band are Fabio Nocentini and Giuseppe Ciucci. 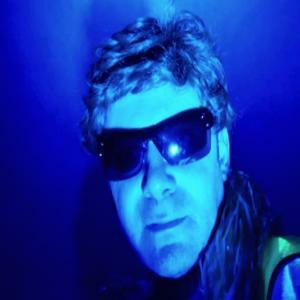 DJoNemesis is a singer, a remixer and a cabaret artist belonging to Fratelli Stellari: he appears in the band's albums. He lives in Turin, Italy and works at the Pleyad Studios. Lilly is his female cat, coming from Orion's Belt and reincarnated as Maia. 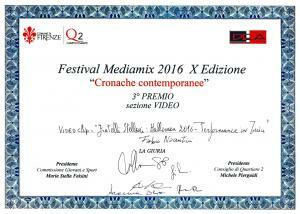 In April 2016 this artist published the single "Baffo d'Oro" ("Golden Moustache"), a song dedicated to cats. Other singles and albums were released in 2016 and 2017: you can find them on Spotify, Bandcamp, iTunes and other websites. 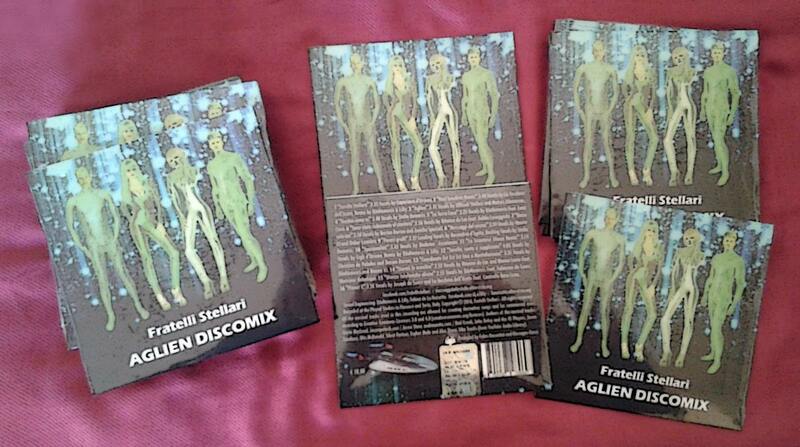 Fratelli Stellari's first album, "Aglien Discomix", includes 16 pop-dance-electronic songs with alien vocals and particular effects (flangers, phasers, reverberations, ufo noises and similar). This release is a compact disc and a digital album; the latter can be found on the most important websites for music (iTunes, Google Play, Deezer, Tidal and other). Listen for free on Spotify and Bandcamp. Another release by Fratelli Stellari is the single entitled "Ufo Dance (Space Edit)": listen for free on Spotify and Bandcamp. The second album is "Nightflight to Planet X": available on many websites, it is dedicated to the mystery of the Ninth Planet of our Solar System. 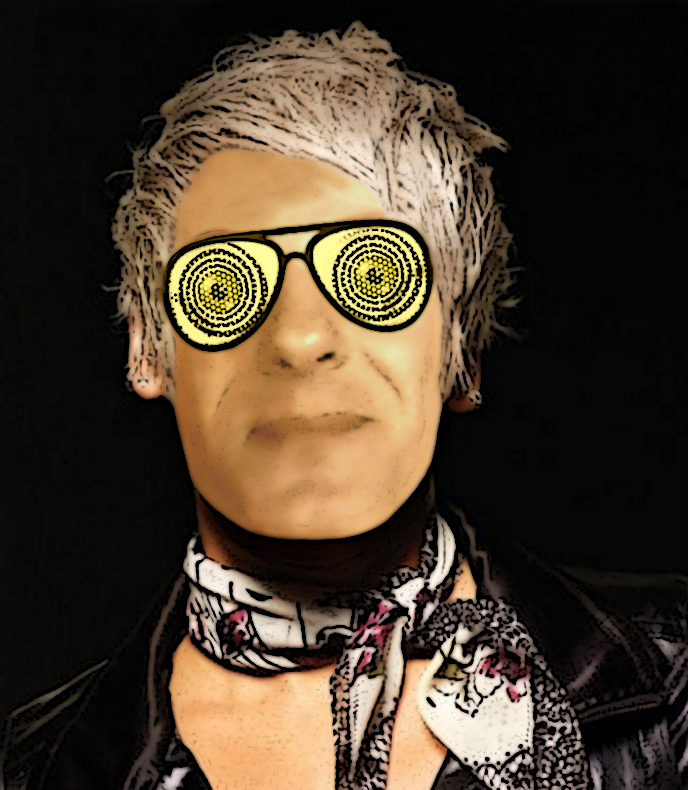 "Milky Way Super Mix" is an extended track, disco-dance: duration 10 minutes. 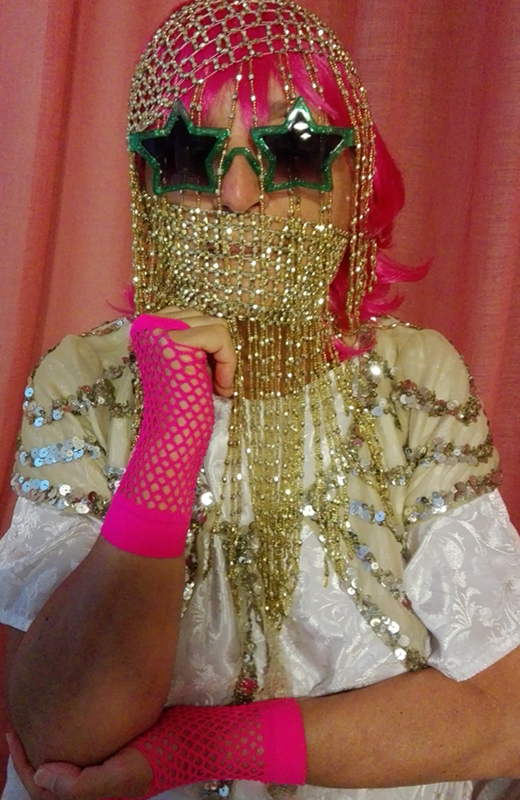 "Matres Alienorum" is a pop-dance single, dedicated to the Three Mothers of an alien race. The third album, published in July 2016, is "Galactic Sound": it contains 8 tracks with vocals in various languages. Other releases are: "50 Sfumature di Alieno" (digital single), "Advent of the Space Gods" (digital album and compact disc), "Les Trois Mères - Deep Space Mix" (digital single), "Instrumental Hits Vol. 1" (digital album), "Instrumental Hits Vol. 2" (digital album), "Milky Way Super Mix (Instrumental)" (digital single, extended play). 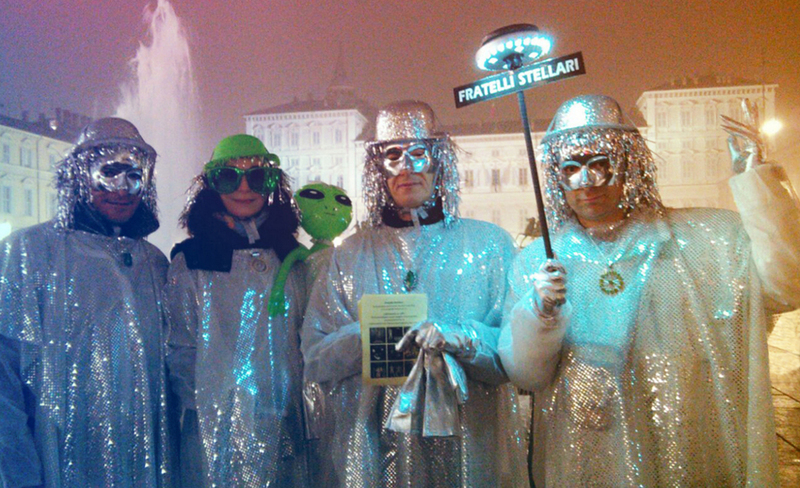 In May 2018 Fratelli Stellari released their fourth album, including 12 tracks: "Electrowave". 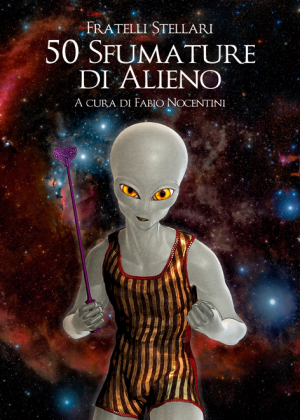 The group has published two books written in Italian: "Dall'Egitto con Furore" ("From Egypt with Fury") and "50 Sfumature di Alieno" ("50 Shades of Alien"); the publisher is Youcanprint.it. 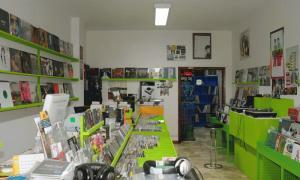 - For "Aglien Discomix" please contact Danex Records, a music store in Florence: [email protected]. Price: 10.00 euros plus shipping. 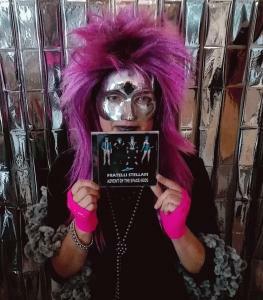 - For "Advent of the Space Gods" you can go on Amazon.com and on CreateSpace.com; or you can contact Danex Records through the mail above. Price: 13.00 euros plus shipping. 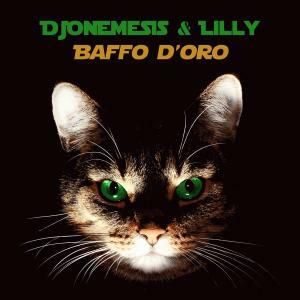 "Advent of the Space Gods"
DJoNemesis & Lilly, "Baffo d'Oro": look for this song dedicated to cats on various websites (Spotify, iTunes, Deezer, Google Play Store and other).